The vehicles are likely to be commonplace by 2030, said Simon Tricker, of "smart cities" specialist UrbanTide, which uses technology and data to improve city planning. "Scottish local authorities are already thinking about what city streets will look like in a decade's time - and the answers are pretty astounding," he said. "Self-driving cars won't need parking spaces in cities - they're likely to be rented rather than owned and will just head off and carry out their next journey after dropping passengers off. Many car parking spaces which we now take for granted will simply become obsolete. "The pace at which electric vehicle technology is developing means they're also likely to be electric, so will produce zero emissions as they're driven. "Taken together with an opening up of the data which will enable new services to link with waiting passengers, we're likely to see a huge shift in how our cities look and how transport is managed." Mr Tricker was speaking ahead of Scottish Renewables first low-carbon cities conference, which will be held in Edinburgh in February. Other speakers include Asa Karlsson Bjorkmarker, deputy mayor of Vaxjo, Sweden, who will speak about her experiences leading 'Europe's greenest city', James Alexander, of C40, a network of the world's cities committed to addressing climate change, and Professor Jill Anable, of the University of Leeds. 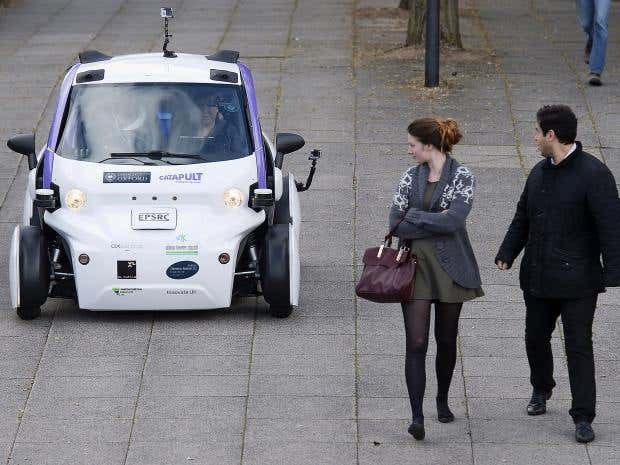 Self-driving electric cars could make car parks obsolete within the next 10 years and reduce air pollution to almost zero in Scotland's cities, an expert has predicted, The Independent reports.